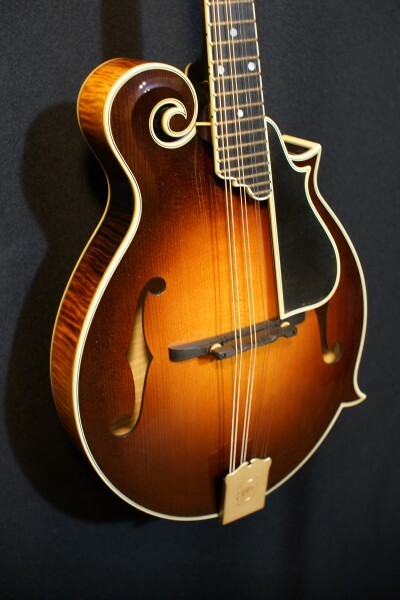 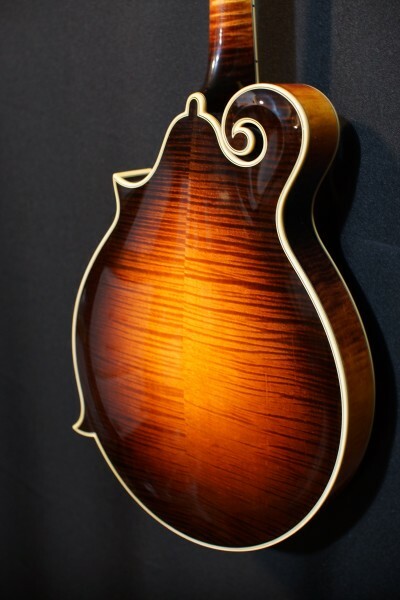 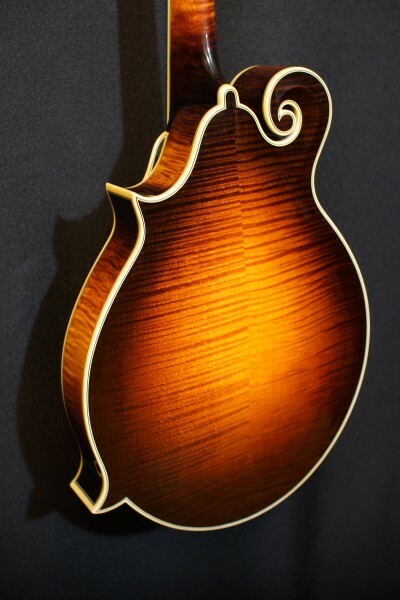 A masterpiece of a mandolin from Austin's own Tom Ellis. 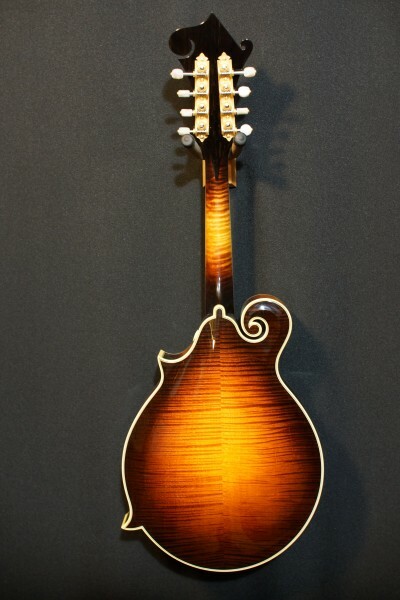 Every detail of this instrument has been meticulously and deliberately honed to perfection in aesthetics, construction, and sound. 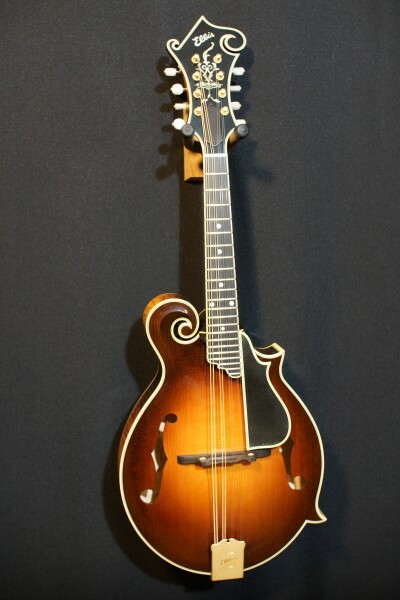 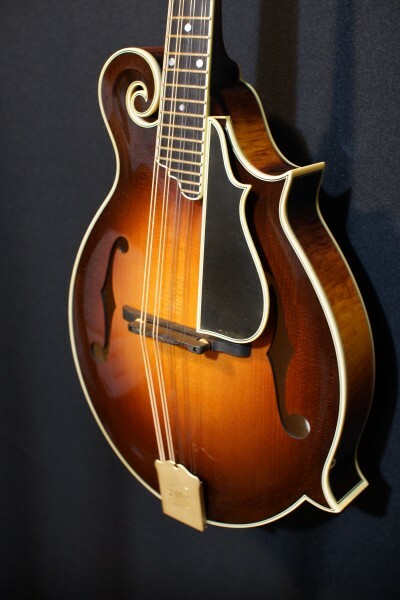 The balance and power that this mandolin has is arguably the best there is. 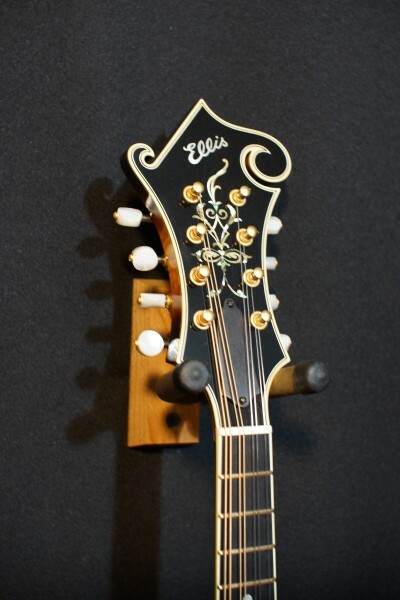 Adirondack top, Sugar maple back/sides/neck, gold Waverly tuners, gold engraved James tailpiece, 1-1/8" bone nut, custom Ellis made ebony bridges, custom ebony pickguard, triple bound top/back/sides/neck/headstock/pickguard, Ellis' proprietary "Bella" pearl headstock inlay, radiused fretboard, ebony endpin with pearl dot, pearl dot position markers. 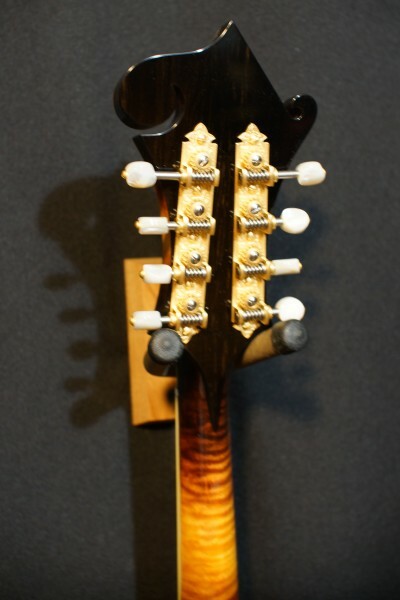 Comes with a custom fit black Calton case.